Another year, another December full of wintery releases to match the season. As we’ve covered before at Seoulbeats, Christmas in South Korea isn’t necessarily celebrated with family and Christmas tree. However, the classic elements of Christmas still manage to catch on, and that includes cheesy Christmas songs. 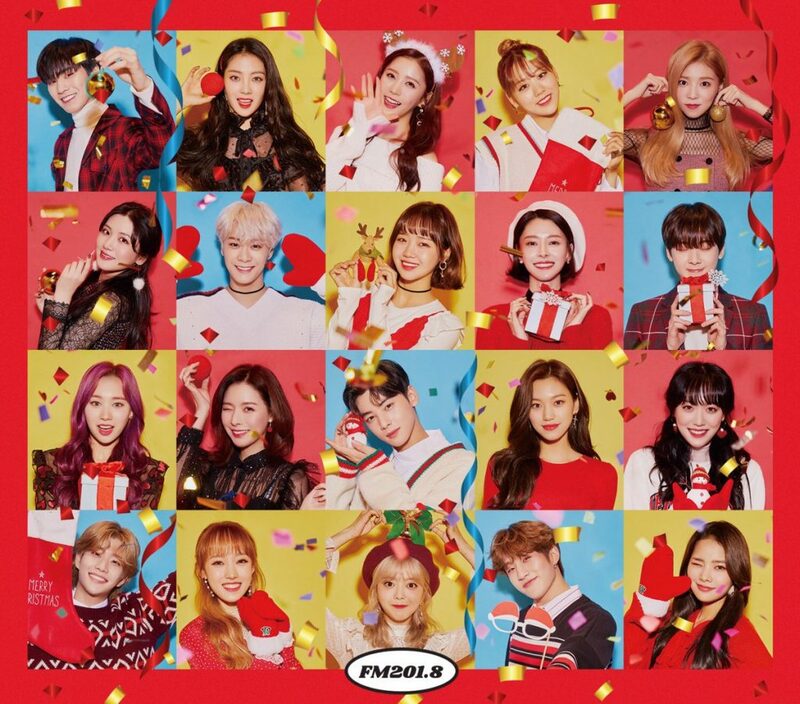 We can always count on a few company holiday tracks like Starship Planet‘s “Christmas Time,” Fantagio‘s “All I Want,” or FNC‘s “It’s Christmas,” to get us in a festive mood. As someone who’s done this round-up for the past four years, I’m still not really clear what the companies get out of releasing these sweet — but easily forgettable — company tracks. Regardless, I’m happy just to have Yoo Jae-suk, AOA, and FT Island all singing together. As cheesy and low-budget as the videos generally are, they do warm the heart, just a little. While we didn’t see as many comedian tracks this year, several idols definitely jumped on the Christmas band-wagon in the form of digital singles. SNSD alums in particular had quite a winter of releases. Jessica Jung‘s “One More Christmas” is the kind of catchy cheerfulness I’ve been missing since the memorable “Dear Santa.” Tiffany, on the other hand, slowed things down for the very sultry “Peppermint,” while Sooyoung took a more sombre route with “Winter Breath.” Groups like Ladies’ Code and T-ara‘s Jiyeon also shared more mellow treats for the holiday season. Without further ado, here’s our video playlist of this year’s holiday releases (with some liberties taken in terms of wintery themes). Curl up with some hot cocoa — or press play on our Spotify playlist just in time for your holiday get together — and enjoy the best of what this holiday season in K-pop has to offer. Be sure to leave your all time favorite K-pop Christmas tracks in the comments below!